In 2013, Joseph Ratzinger became the first Pope to abdicate in nearly 600 years, leaving behind as many questions about his own views and the direction of the Church as when he first took the throne. 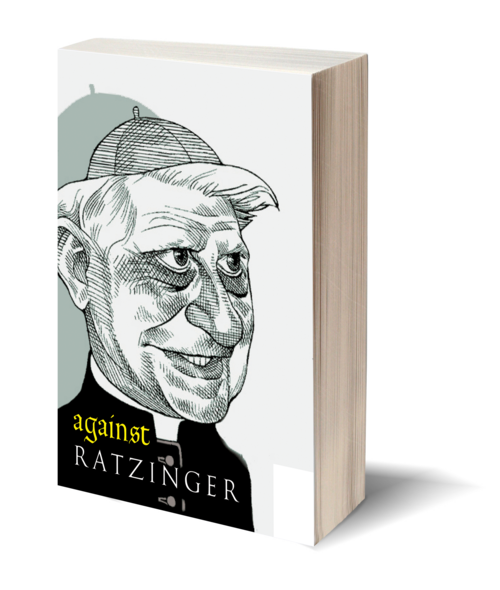 Since then, the probing inquiries of Against Ratzinger, an anonymous pamphlet that caused a national stir and immediately shot onto bestseller lists when it was first released in Italy in 2006, have only increased in relevance. This concise volume analyzes and critiques the pronouncements of Joseph Ratzinger, a.k.a. Pope Emeritus Benedict XVI. Addressing some of the Church’s most dramatic and pressing issues, Against Ratzinger studies the Pope's viewpoints on birth control, abortion, and sexual abuse. The book also charts Ratzinger's rise to power from his arrival in Rome in 1981 and addresses his close relationship with the late Pope John Paul II.